James Comerford (ca 1720-1808), of The Langton House, The Butterslip, Kilkenny, was one of the principals in the partnership of Comerford and Murray, which loaded the first and only boat to navigate the Kilkenny Canal from the tidewater to the city, and both he and his wife Anne were painted by the Kilkenny-born miniaturist, John Comerford (ca 1770-1832), when he was their guest in 1794, and were painted by him again in 1797 and 1808 [See Comerford Profiles 13: John Comerford (1770-1832), artist]. 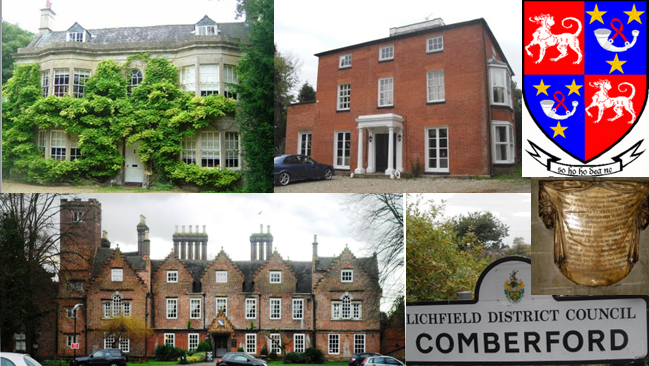 James was born ca 1720 (although Barney Comerford says he was born in 1726, and Prim says he died at the age of 80). James was the son of William Comerford (ca 1692?-post 1765), of Kilkenny City, who claimed to be a member of the Ballybur branch of the family [see 4: Comerford of Ballybur Castle and Kilkenny City]. 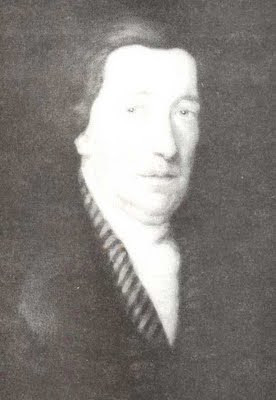 Barney Comerford says William and his father, Richard Comerford, lived at Coolgreany, Co Kilkenny; however, Prim and other authorities show William lived in Kilkenny City and moved to the Langton House at The Butterslip, Kilkenny, after the marriage of his son James to Anne Langton in 1754. William’s grandson, Michael Comerford, later recalled how William took an oaken chest of title deeds with him to the Butterslip, and on sunny days would take them out and unfold them. These were believed by family members to be the title deeds to Ballybur; after his death, they were inherited by his elder son James Comerford, but are believed to have been destroyed by James Comerford’s wife, Anne. 1, James Comerford (ca 1720-ca 1808), of Kilkenny, ancestor of the Comerfords of Langton, The Butterslip, Kilkenny, and the subject of this profile. 2, Edmund Comerford (ca 1722-1788), ancestor of the Comerford family of Newtownbarry (Bunclody), Co Wexford [See Chapter 8: Comerford of Bunclody and Dublin]. 3? Patrick Comerford, of Ryland, outside Newtownbarry (Bunclody), Co Wexford, who died ca 1787. 4? Edward Comerford, ancestor of the Comerford families of Newbawn and Horetown [See Chapter 11: Comerford of Horetown, Newbawn, &c., Co Wexford]. 5? Matthew Comerford, who married Elizabeth Bolton. 6? Pierce Comerford, of Coolgreany, Co Kilkenny, who was born ca 1732. William Comerford’s eldest son, James Comerford, was married by the Revd Patrick Molloy, Parish Priest of Saint Mary’s Kilkenny, on 27 November 1754 to Anne Langton (post 1729-post 1823, died aged 94), daughter of Silvester Langton (1680-1749) of The Butterslip and his wife Mary (nee Sexton, born in 1692/1693; married in 1728/1729; died on 21 August 1755 aged 62, buried Saint John’s Priory, Kilkenny). 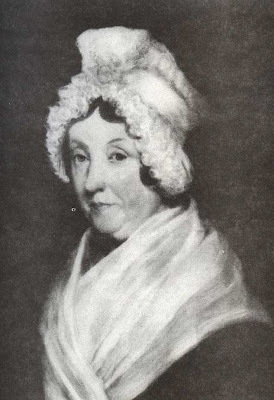 When Mary Sexton married Silvester Langton, she was a widow, the second wife and widow of Edmund Tobin. Anne Comerford’s brother, Michael Langton (born 1738, d.s.p. ), lived at Danville and The Butterslip. Anne’s sister, Eleanor Langton (ca 1733/1734-1772), married Emmanuel Murray (ca 1734-1802) on 27 April 1756. After their marriage, James and Anne Comerford lived in the Langton House in The Butterslip, off High Street, Kilkenny. There they continued her father’s business. The house is illustrated by the Revd James Graves in the Journal of the Royal Society of Antiquaries of Ireland, vol 8 (1864), by Canon William Carrigan (vol 3), and more recently by Anne Farrall in John Bradley’s Discover Kilkenny. Until at least 1773, James and Anne Comerford continued to update her father’s pocketbook with details of family births, baptisms, marriages and deaths. 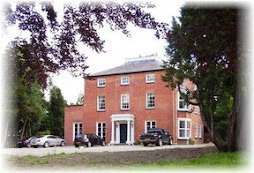 Along with James Comerford’s father, William, other members of the extended family who live with James and Anne Comerford at The Butterslip, included Anne’s half-sister, Mary Fitzpatrick (daughter of Silvester Langton and his first wife, Anne Langton; she was born ca 1689 and died 18 March 1749, aged 60, and both are buried in Saint John’s, Kilkenny), and her first cousin, Margaret Langton (ca 1721-1774), daughter of Michael Langton fitzNicholas, who died in the house of a “dropsical complaint” on 15 February 1774, aged 52. Incidentally, Margaret’s brother, John Langton, who died of the smallpox at the age of two in 1717, was a godson of Catherine (Comerford) Nagle, sister of Joseph Comerford of Anglure [see Comerford Profiles 9: Joseph Comerford (d. 1729), Marquis d’Anglure]. [See Chapter 6: Comerford of Ballymack and Callan].In 1771 or 1772, as “Mr James Commerford,” he subscribed £5.13.9 towards building a new church on the site of the present Saint Mary’s Cathedral, Kilkenny. On 7 December 1775, James Comerford took the Test Oath along with Walter Butler, de jure 16th Earl of Ormond, the Revd Patrick Molloy of Saint Mary’s, and other leading Roman Catholic citizens s at the Tholsel in Kilkenny. James Comerford formed the partnership of Comerford and Murray with his brother-in-law, Emmanuel Murray (1734-1802), husband of Anne’s sister, Eleanor Langton (born ca 1733/1734, married on 29 January 1774, died on 9 May 1772 aged 38, buried in Saint Mary’s). This partnership loaded the first and only boat that navigated the Kilkenny Canal from the tidewater to the city, and the vessel discharged its cargo at New Quay. The failure, despite many efforts – including those of Comerford and Murray – to build a canal that would make the city accessible from the sea had an enduring impact on Kilkenny. It led to the development of rival market places, notably Bagenalstown, Co Carlow, on the River Barrow, and Clonmel, Co Tipperary, on the River Suir, from which it was cheaper to ship goods to Dublin and Waterford. By the late 1840s, when the railways arrived, most of Kilkenny’s industries were in decline. James and Anne Comerford were painted by the Kilkenny-born miniaturist, John Comerford (ca 1770-1832), when he was their guest in 1794, and they were painted by him again in 1797 and 1808. James died shortly after that third portrait was painted in 1808, for his will, as the will of James Cummerford of Knockanure, near Newtownbarry (Bunclody), Co Wexford, went to probate in Ferns Diocesan Court in 1809. ●● 1b, (The Revd) Edmund Madden (ca 1818-1865). He was educated at the Sorbonne, Paris. He was a Roman Catholic curate in Swansea, Wales, 1864, and was a chaplain in Wales to Colonel John Francis Vaughan, father of Cardinal Herbert Vaughan (1832-1903), Archbishop of Westminster. Father Madden inherited the family portraits of James and Anne Comerford, and purchased the Langton family interest in the Butterslip, Kilkenny. He died on 28 March 1865 and is buried in Kilkenny. ●● 2b, James Comerford Madden, who later inherited John Comerford’s portraits of James and Anne Comerford. He married in 1859 Mary Agnes, daughter of James and Sarah Foley of Carlow. They moved to Kogarah, near Sydney, where they were visited in 1906 by Mrs Hayburn of San Francisco (below). Mary Agnes Madden died on 4 March 1910 at Iona, Rocky Point Road, Kogarah. The descendants of Mary and James Comerford Madden in the Corbett, Madden and Stark families are living in New South Wales (2008). ●● 3b, Judith, grandmother of Rita Flood Morrisey. ●●●● 1d, (The Right Revd Monsignor Dr) Robert F. Hayburn, Mus.D., of Saint Mary’s Cathedral, San Francisco. He was ordained in 1945. He was the author of Papal Legislation on Sacred Music, AD 95-1977 (Collegeville, Minnesota, The Liturgical Press, 1979), and was a founding member of the Catholic Music Association of America. He died in 1991. ●●●● 2d, (The Revd) Edmund Langton Hayburn, of Freemount, California (1916-2006). He was ordained in 1945 along with his brother, Robert. He was devoted to Latin American culture and served Spanish-speaking Catholics on both sides of the Bay. He contributed to the Old Kilkenny Review, the Journal of the Kilkenny Archaeological Society (1974, 1984), and presented copies of the Langton and Comerford portraits to the Kilkenny Archaeological Society. He died on 24 February 2006. He was buried in Holy Cross Cemetery, Colma. ●● 1b, (The Revd) James Edmund Delany (died ca 1901) of Carlow, later Parish Priest of Rosenalis, Co Laois. ●● 2b, Michael Dunne, solicitor, Carlow. ●● (The Revd) Canice Bourke, OFM Cap (1890-1969), a Capuchin Friar and author of Humility: the Foundation of the Spiritual Life (1951), later republished as The Power of Humility. 3, William Comerford, who died in infancy. 4, William Comerford, born on 22 September 1763, baptised by Father Richard Shee. 7, Edmond Comerford (1767-1819), born on 11 June 1767, he was baptised five days later by Father McGenniss, a Dominican. A hardware merchant, of High Street, Kilkenny, he died on 26 February 1819. 8, Anne, born on 10 February 1768, baptised 16 February by Father Peter Crea. 10, Mary (i), who appears to have died in infancy. 11, Margaret (i), who appears to have died in infancy. 12, Mary (ii), who appears to have died in infancy. 16, Alice, born ca 1776/1777. The fifth child of James and Anne Comerford, Michael Comerford (1764-1851), of King Street, Kilkenny, was born in 1764. 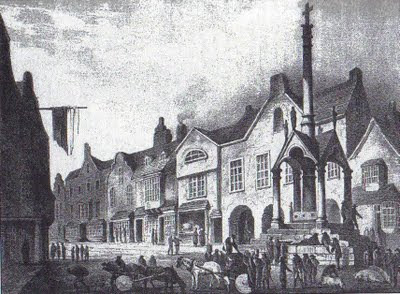 In 1771, at the age of seven, he saw the removal of the Market Cross in High Street, Kilkenny. He rented the Langton house in the Butterslip from his mother’s brother, Michael Langton of Danville. Prim records the people around Ballybur “always looked upon” him as “the lineal representative” of the Comerfords of Ballybur Castle. He died unmarried on 20 April 1851 and was buried in Saint Mary’s Churchyard, Kilkenny. His executor was the Kilkenny writer, Michael Banim (1796-1864). Michael Comerford was also an uncle of Jeremiah Scully of Freshford, who inherited the great Irish seal of Charles I from one of the Ballybur title deeds. On the death of Michael Comerford in 1851, the Langton House in the Butterslip and the Comerford family portraits by John Comerford passed to his grand-nephew, Father Edmund Madden, who erected his gravestone. The family continued to be represented in the city through descendants in the female line in the Madden, Bourke, Dunne, Kenealy and Buggy families. But the death of Michael Comerford in 1851 brought to an end the connections with Kilkenny City of the male line of this branch of the Comerford family. © Patrick Comerford, 2007, 2008, 2009, 2010, 2013. Last updated: 12 December 2009; 18 December 2010; 15 April 2013. Prim (1864), p. 83; E. Langton Hayburn, “Langton Portraits,” Old Kilkenny Review 25 (1973), p. 78; Barney Comerford, p. 47. Hilary Walsh, “Ossory Marriage Licences,” Irish Genealogist (1971), p. 335; Prim (1864), pp 82-83, 88; Carrigan 3, pp 258-259; Barney Comerford, p. 47. R.S.A.I.Jn. 8 (1864), facing p. 76; Carrigan 3, p. 82; John Bradley, Discover Kilkenny (Dublin, 2000), p. 100. Prim (1864), pp 102, 106. Prim (1864), pp 100-107; Carrigan 3, pp 258-259. Carrigan 3, p. 126 (other major subscribers related to James Comerford included Nicholas Langton of Cadiz, £60; Mrs Ellinor Langton, £11.7.6; James Fitzpatrick, £5.13.9; Emmanuel Murray, £5.13.9; and Mrs Jane Langton, £3.8.3; the sum of £5.13.9 was also subscribed by Anthony Blunt, Mayor of Kilkenny); DKPRI n.d. (?1961), 59, p. 751; (Revd) TJ Clohessy, ‘18th century Kilkenny,’ Old Kilkenny Review 11 (1959), p. 43. Prim (1864), p. 83; Walsh, ‘Ossory Marriage Licences,’ p. 338. John Bradley, Kilkenny (Dublin: Royal Irish Academy, 2000, Irish Historic Towns Atlas No 10), p. 7. PROI, Index Administration Bonds, Diocese of Ferns. Prim (1864), table facing p. 84; E. Langton Hayburn, ‘The Sale of the Langton Mansion on High Street, Kilkenny,’ Old Kilkenny Review, 3/1 (Second Series) (1984), p. 75. Prim (1864), table facing p. 84; Betham Will Abstracts, PROI, 1-18, f 154. Walsh, ‘Ossory Marriage Licences,’ p. 338; M. Kenealy, ‘Finn’s Leinster Journal,’ Old Kilkenny Review, NS Vol 1, No 5 (1978), p. 339. Hayburn (1973), p. 76; Hayburn (1984), pp 75-76; Prim (1864), p. 82. Hayburn (1973), p. 77; ‘Maddenswqld,’ http://freepages.genealogy.rootsweb.com/~maddenps/MADDENNSWQLD.htm (1.2.2008). Hayburn (1973), p. 77; Hayburn (1984), p. 75; ‘Maddenswqld,’ http://freepages.genealogy.rootsweb.com/~maddenps/MADDENNSWQLD.htm (1.2.2008). Hayburn (1984), passim; Kenealy, p. 339; The Catholic Voice (Oakland, California), 43/12 (20.6.2005), 44/5 (6.3.2006). Prim (1864), table facing p. 84. Carrigan 1, p. 169, quoting notebook of their uncle, Sylvester Langton, an “old parishioner of Saint Mary’s”; Prim lists him as their fourth son, Prim (1864), pp. 82-83, table facing p. 84. Prim (1864), pp 82-83, table facing p. 84; Carrigan 1, p. 169. Carrigan 1, p. 168; Prim lists her as child number 14, Prim (1864), table facing p. 84. Prim lists him as their second son, Prim (1864), pp 82-83, table facing p. 84. Prim (1864), pp 82-83; (Mrs) JCJ Murphy, “The Ten Civic Families of Kilkenny”, Old Kilkenny Review, 1954, p. 11. Prim (1864), p 83; Hayburn (1973), p. 78. Prim (1864), pp 82-84; Hayburn (1973), p. 78. M. Buggy, “Memorials of the Dead, St Mary’s Kilkenny,” pp 75-76, Old Kilkenny Review, 1980 (Michael’s age is given on the gravestone as his “85th year”); Hayburn (1973), p. 76. I believe that "●● (The Revd) Canice Bourke, OFM Cap (1890-1969), a Capuchin Friar and author of Humility: the Foundation of the Spiritual Life (1951), later republished as The Power of Humility." is actually one and the same as my grand uncle Edward John Bourke. 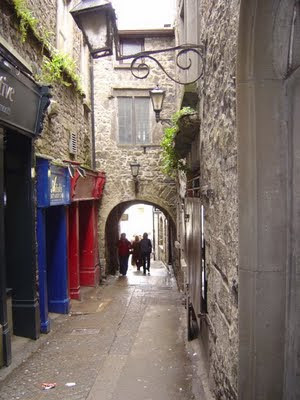 His mother was Catherine Walsh and his father was James Bourke (Worth Will Tell, High Street, Kilkenny). 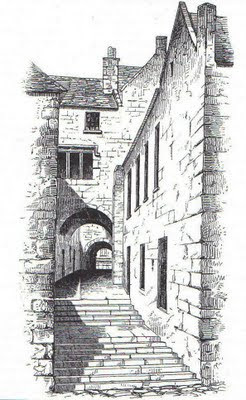 The shop had a back door onto the Butterslip just below the 'bridge'.